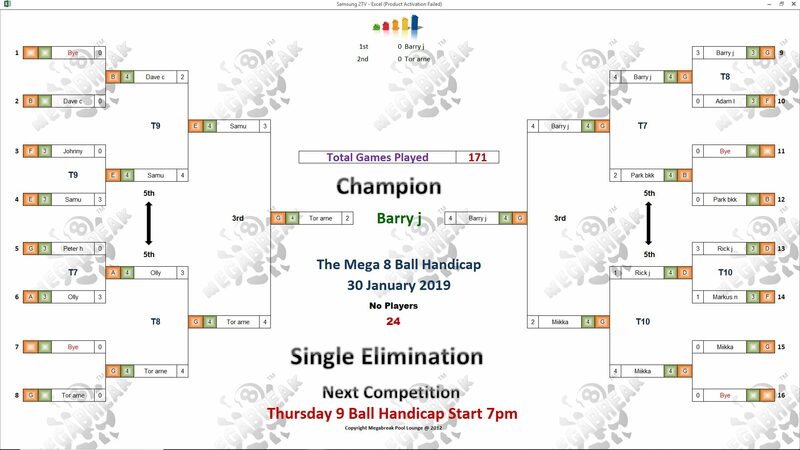 WEDNESDAY MEGA 8 BALL – 30th JANUARY : BARRY WINS. 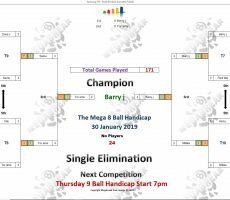 Our first ever Mega 8 Ball Handicap Competition on Wednesday evening was a great success, attracting 24 players. 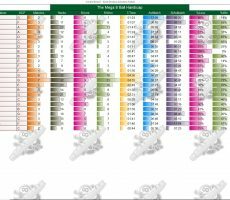 It was dominated by players at the lower end of the handicap scale, with the handicap system causing havoc for the high handicappers. 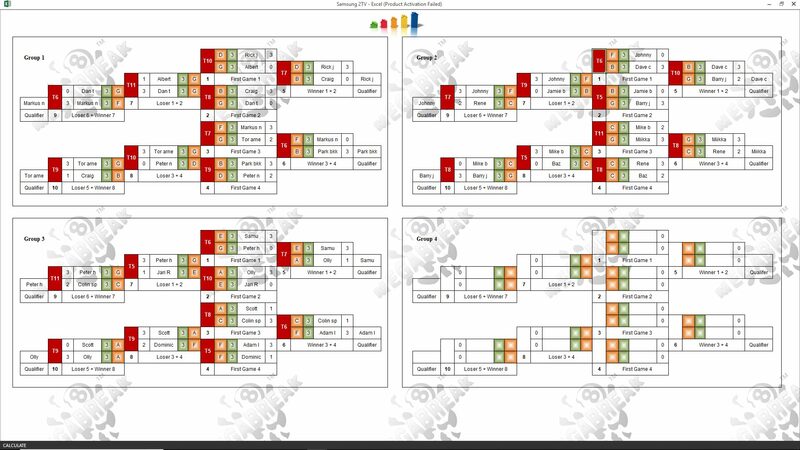 Congratulations go to all the winners, with England’s Barry Johnston coming out on top in a close fought final against Norway’s Tor-Arne Fenes, by 4 racks to 2. 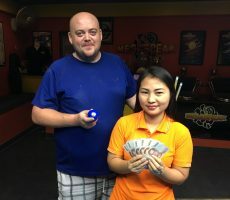 Champion : Barry (G handicap) – 10000 baht. 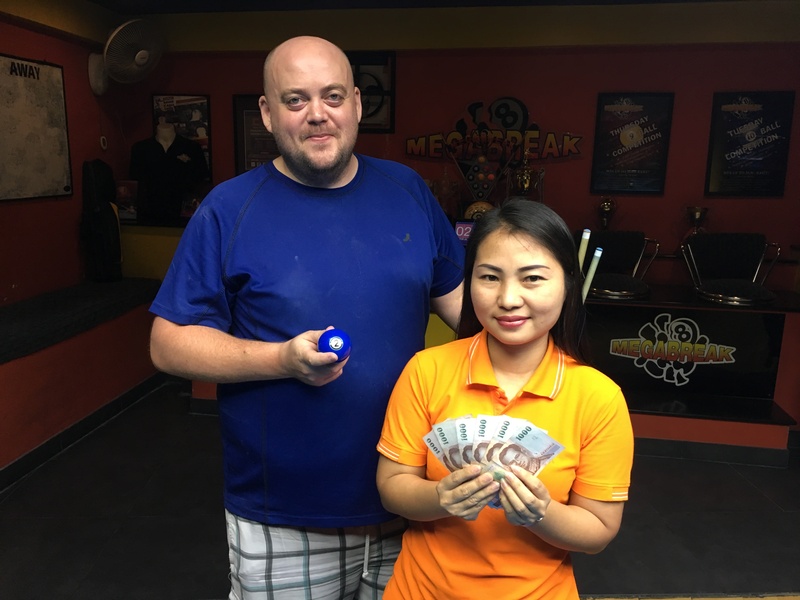 Runner-Up : Tor (G handicap) – 6000 baht. 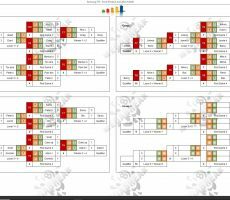 Semi-finals : Samu Laine (E) and Miikka Karila (G) – 3000 baht each. The Player Auction Prize Pot totalled 42300 baht and was won by our Runner-Up Tor. 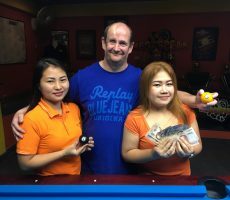 Consolation for him losing out in the final was that he bought Barry for 1700 baht, and they shared the 1st Payout of 16000. He also had 50% of himself, and 50% of Miikka, taking his auction winnings to 17000 on the night. 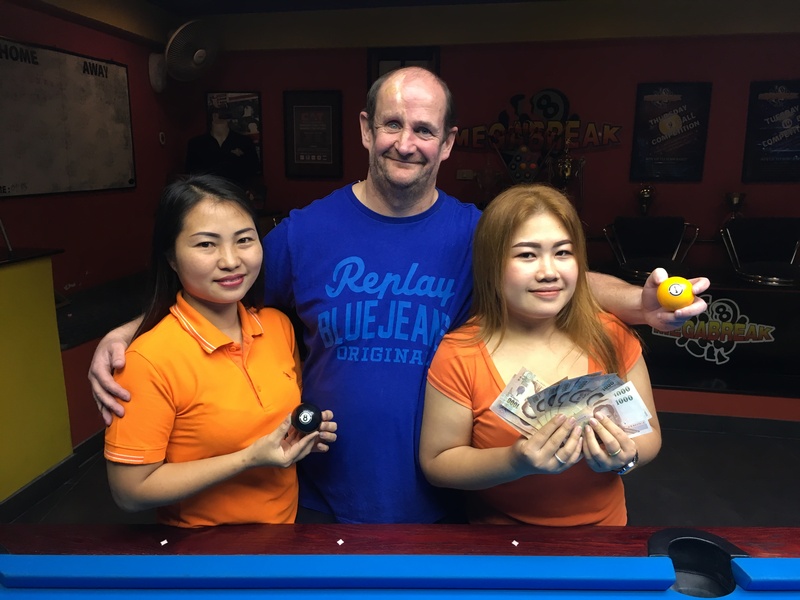 1st : Tor (Barry) – 16000 baht. 2nd : Craig Jones (Tor) – 12000 baht. 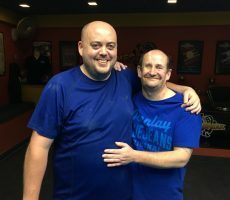 Equal 3rd : Dan T (Samu) and Tor (Miikka) – 6000 baht each. 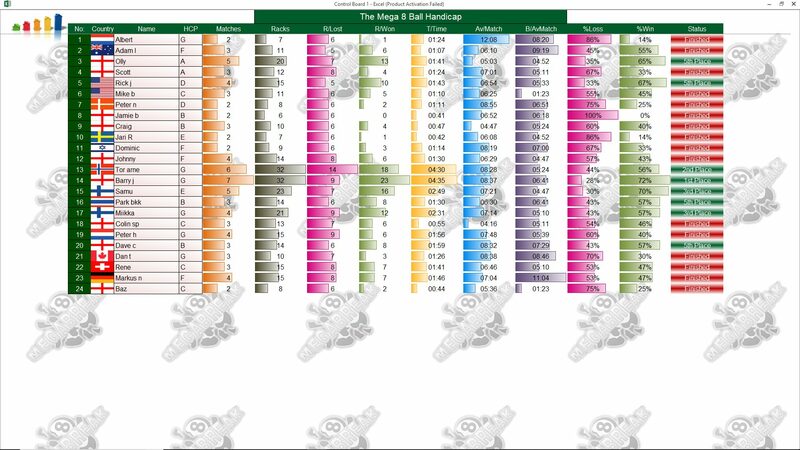 Thanks to all the players who took part in our inaugural Mega 8 Ball event. 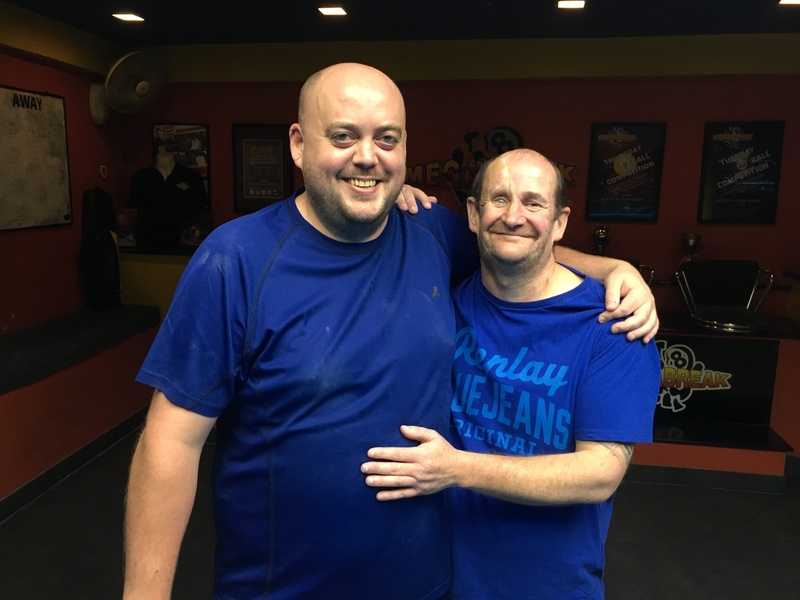 This will be a regular weekly competition from now on. Free practice starts at 630, with the auction at 730. New players are welcome, and need to arrive at 630 for handicap assessment.